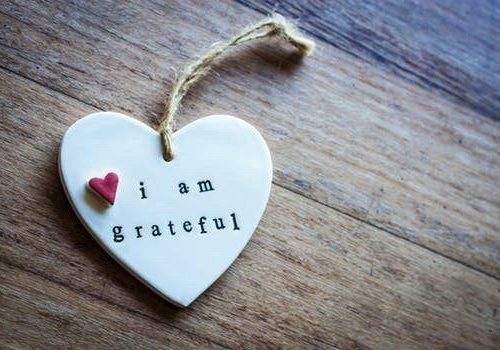 2019 will be wonderful and prosperous for us all. For you dreamers, make it a year of more doing; for you thinkers, make it a year of more feeling. No looking backward – only forward. With each new year, we have inspiration for the year ahead by setting goals, executing a plan, and then achieving them! Goals are boundless and give us the perspective to overcome obstacles. Manifest a year of excellence! We at Deja Vu have made some great changes, clearing out the old to make room for the new. Revamping the boutique has made a huge difference to the look and feel of the store. Come check out the new and improved Deja Vu Couture Carmeland receive 50% off most items this month! We are hosting our third Thursday event on January, 17th from 4-6PM at DJV with our focus on two of the “luxurious materials”… leather & suede. Learn ways to accessorize, style, and care for them. Small doses of lux fabric can be paired with anything – always fashion your wardrobe with texture in mind. 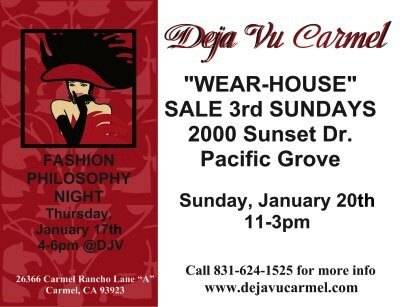 Don’t miss our extraordinary monthly “wear-house” sale Sunday, January 20th from 11AM-3PM.